Here's what you should do as soon as you get paid. It's finally payday, which means you can buy that TV you've had your eyes on these past few weeks. But, don't spend all your hard-earned money just yet — there are some items you need to cross off your list first. As part of GOBankingRates' Best Money Expert 2017 competition, we asked America's top personal finance experts, "What is the first thing people should be doing with their paycheck?" See their answers — and advice from other experts — to find out if you've been spending your paycheck wisely. The next time you get paid, keep their tips in mind so you can live a richer and more luxurious life. If you want to have a dream retirement one day, use your paycheck to start paying for it. Financial experts agree that it's a great idea to contribute to your 401k account when you get paid. 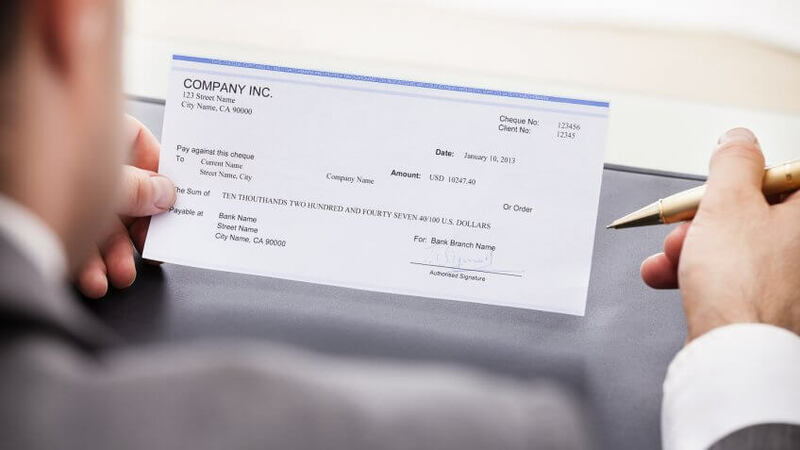 Deposit the amount from your paycheck that your company will match, said award-winning journalist and personal finance author Bobbi Rebell. "You should never cash it and put the money in your wallet," she said. "The temptation to spend will be too great to resist." Talk to your employer to see how you can automatically schedule deposits from your paycheck to your 401k. "That way, you're saving pretax money, and you might be saving even more money if your employer offers a 401k match program," said Wes Moss, host of the personal finance radio show "Money Matters." "If you automate your savings you won't miss that money. If you're worried about getting started, try beginning by saving just 2 percent." Or, try this strategy that financial expert David Bach recommends. Author of the "The Automatic Millionaire," he said you should pay yourself the amount of your first hour of income. "If you earn $20 an hour ... that amount of money from 9 o'clock to 10 o'clock ... needs to go automatically into your 'pay yourself first' account," said Bach. "Specifically, that is a 401k plan, 403b plan, a 457 plan, an IRA account or a SEP IRA account." 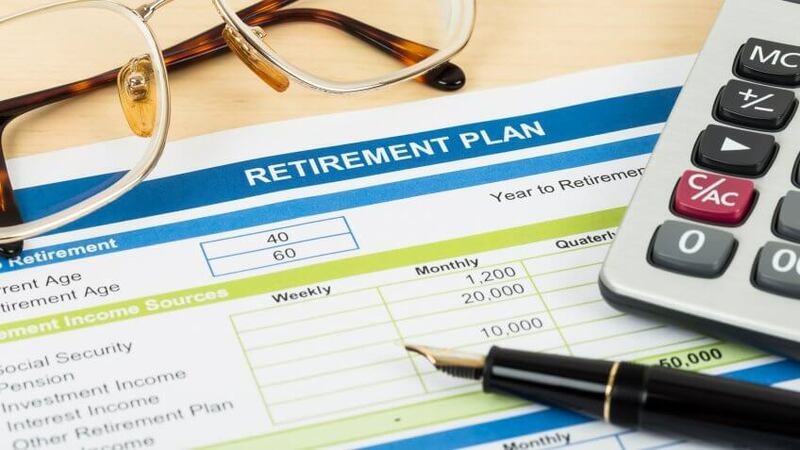 If your employer doesn't offer a retirement plan — let alone a 401k match — see if you can make automatic deductions to an IRA you've already set up, said Tom Zgainer, founder of America's Best 401k. "Then, manage your lifestyle around your net pay, balancing your monthly obligations with planning for the future," he said. "Don't moan about it — the taxes or your net pay. We reap what we sow. If you are not happy about your net pay, resolve to increase your earning potential by providing more value to your employer. Or, take some of your spare time and get a second job, and use those earnings to improve your lifestyle." In addition to socking away money in your retirement account, put some of your paycheck into a savings account. "As soon as you get your paycheck, set some money aside in your savings account," said Kyle Taylor, founder of ThePennyHoarder.com. "I recommend at least 10 percent. I'd even take it a step further and automate the savings process." For example, you can use an app like Digit to set up an automatic transfer from your checking account to your savings account. Award-winning personal finance journalist Jean Chatzky is also an advocate for scheduling deposits from your paycheck to your savings account. "Automating savings is the first thing everyone should do with their paychecks," she said. "If you don't see the money, you can't spend it, and it's the best way to guarantee a secure financial future." The best savings accounts offer liquid money that can come in handy in an emergency — or enable you to save for a big-ticket item you want. They also offer interest-growing potential. Look for an account that comes with a higher APY. With a higher APY, you can earn more interest on your savings. Although different from a retirement account, this savings account can help you achieve your future goals. 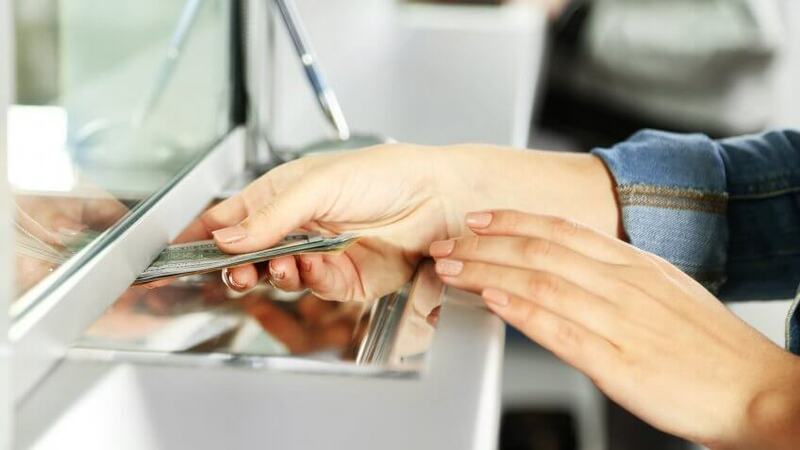 "It may sound odd coming from a banker, but there's more to life than just money," said James Capolongo, head of consumer deposit products at TD Bank. "I'm a firm believer in paying yourself first and setting aside a portion of your paycheck to invest in your future." "The first thing people should do is pay down their debt," said entrepreneur John Rampton. "Pay it all off, if possible. If not, pay the highest interest rate items first, like credit card balances." Paying off the debt with the highest interest first can help you save money in the long term. But you should also make it a priority to pay off any debts that are past due. "If you have large amounts of outstanding debt and the bill collectors are calling, it only makes sense to pay those debts off in a hurry — either through debt consolidation or by paying off more costly debt first, like high-interest credit cards," said Keisha Blair, co-founder of Aspire-Canada.com, an online platform that offers resources to entrepreneurs and professionals. By taking steps to get out of debt, you can increase your credit score — which is key to achieving your long-term goals. 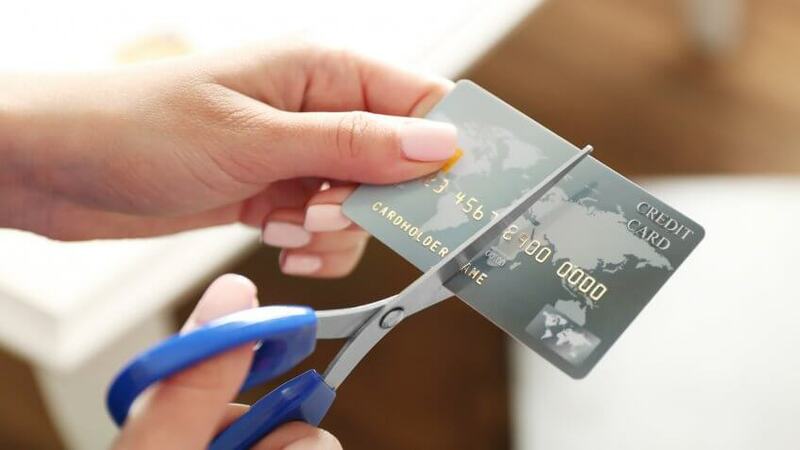 "Not only can having large amounts of debt decrease your credit score," said Blair, "it can prevent you from making some of the most important investments you need to secure your financial future, like getting a mortgage." 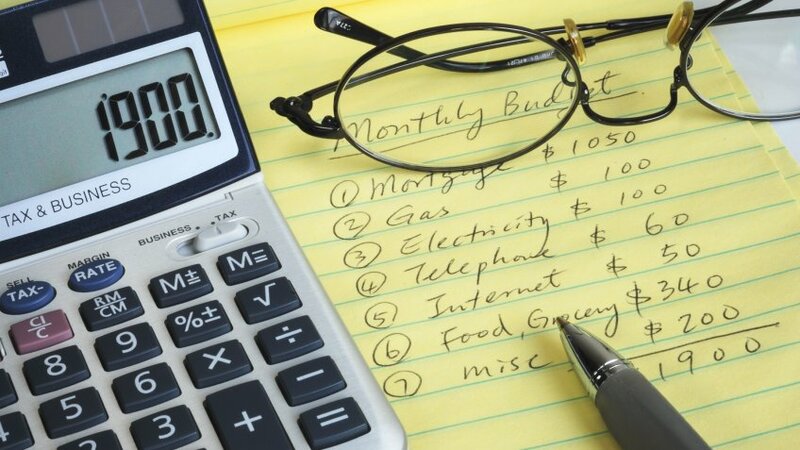 Another thing experts agree on: Budget your paycheck correctly before you spend it. Make a plan for your hard-earned money, said Rachel Cruze, co-author of "Smart Money Smart Kids," a New York Times best-seller. That way, you know exactly how much you can spend — and on what. "This is the dreaded 'B' word — budget," said Cruze. "But a budget is really not that bad. Most people find that a budget actually gives them freedom and permission to spend ... A budget isn't about complicating your life. It's about knowing where your money is going, and that will make your life a whole lot easier." 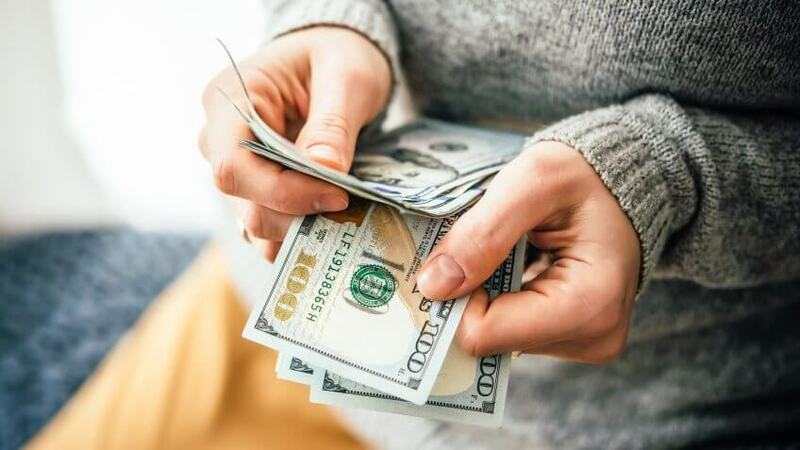 If you plan out exactly how to spend your paycheck, you'll be able to schedule your bills, prioritize your spending and get a budgeting plan in place for next month, said Lauren Greutman, an award-winning writer and founder of personal finance site LaurenGreutman.com. "That is what I call prospective budgeting, budgeting for the month ahead of you instead of reacting to what is happening to you," she said. But if creating a written budget is too difficult, use an app. "If you're looking for an easy-to-use, free budgeting app, I recommend EveryDollar," said Cruze. With this app, you can keep tabs on your spending and expenses without relying on pen and paper. Accounting for every dollar takes budgeting your paycheck to the next level. When you're figuring out your budget, list out your income and expenses. And, "assign every dollar a name," said Cruze. "You should know before you even get your paycheck what you need to do with it," said J. Money, founder of BudgetsAreSexy.com. "Each dollar needs to be accounted for before you even receive it, even if it's going toward splurging — which is perfectly fine, by the way." He said you should first put your money toward savings, investments or debt-free goals. Then, pay off any bills that are lined up. But "what you should never do with your paycheck: take it to Vegas and bet it all on black," added J. Money. You've probably heard this before, but it's true: Investing in yourself is the most important investment you'll ever make. But that doesn't necessarily mean you have to spend a lot of money on yourself. Instead, it means investing in yourself "through mentoring, learning and personal development," said entrepreneur Josh Felber. Let's say you want to get a higher salary at your current job. Before you ask for a raise, improve your skills or expand your knowledge to prove to your boss that you've become a valuable employee. This might mean using part of your paycheck to pay for courses at your local university. Or, perhaps you'll use it to buy books that provide tips on how to master your profession. When you finally meet with your boss to negotiate a pay bump, share your newfound skills or knowledge to increase your chances of getting a raise. Investing in yourself can also mean investing in your future. Whether your future involves becoming a homeowner, starting a family or having a luxurious retirement, continue to put money away into a savings or retirement account. Learn how to be successful with these 'Shark Tank' secrets. Research has shown a link between IQ and job performance.